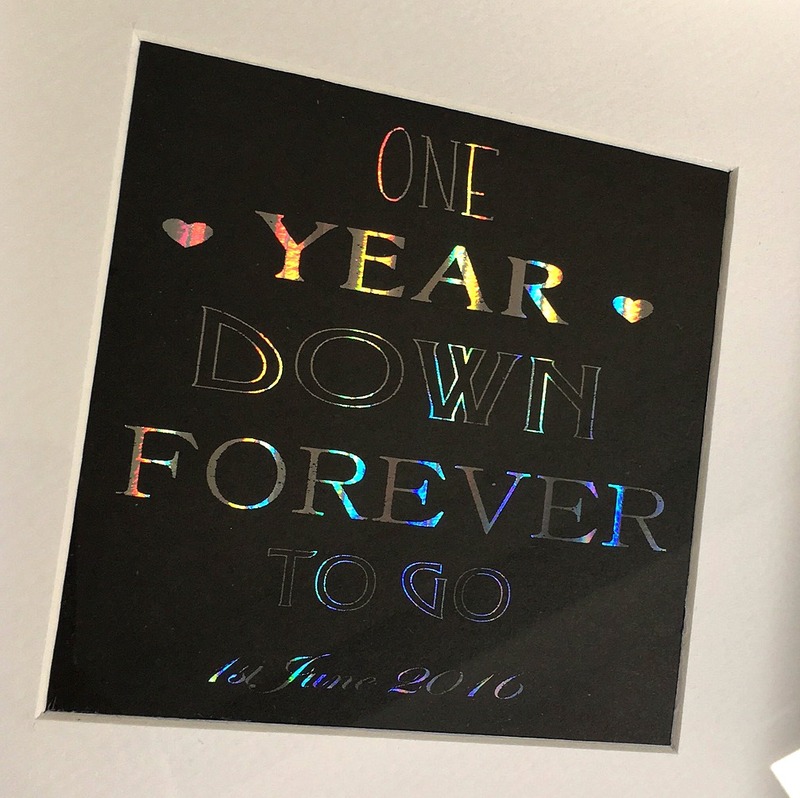 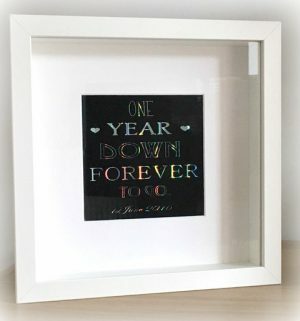 A personalised gift for your 1st Wedding Anniversary which incorporates ‘paper’ with the paper print. 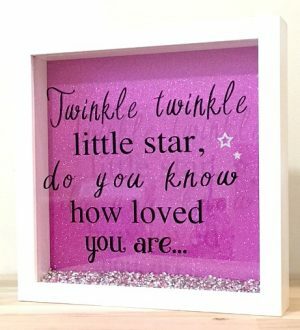 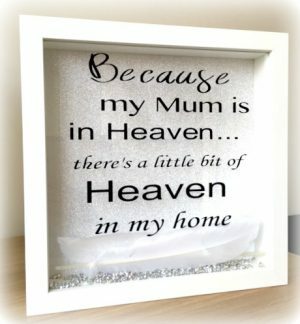 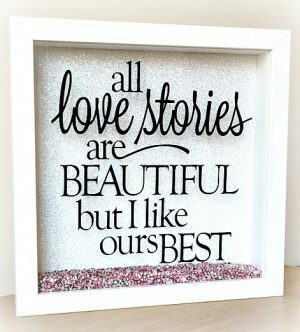 The frame measures 23cm x 23cm and available in black or white. The foil print in the frame can be printed on either black or white card. 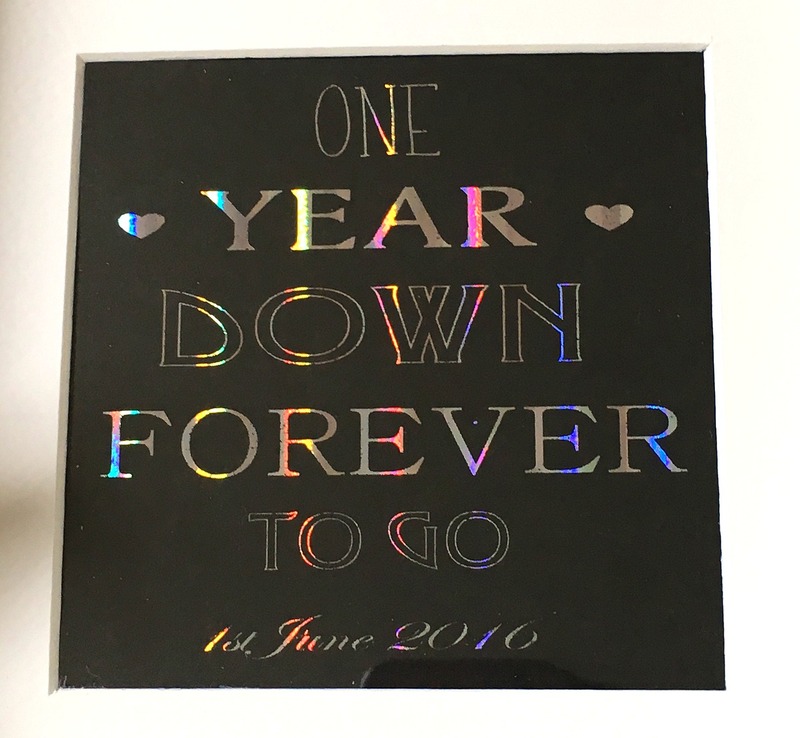 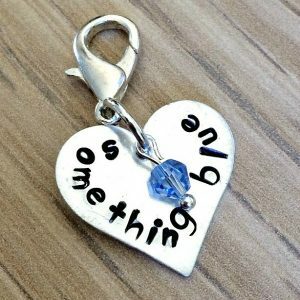 The wording can be changed, if you would like to leave your wording at checkout with your special date which is printed at the bottom.